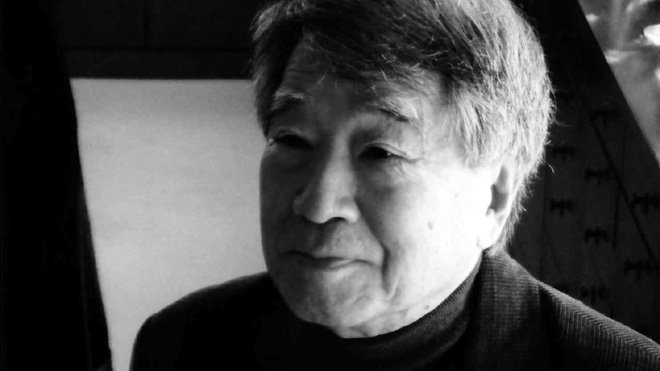 Susumu Hani (b.1928) is one of the most unjustly neglected Japanese filmmakers of the 1960s. The reason for his neglect is twofold. First, after a two-decade career as a director of documentary and fiction films stretching into the early 1970s, he abruptly abandoned the cinema, and since then, apart from a brief return to feature filmmaking in the early 1980s, has worked mainly as a writer and a maker of television wildlife documentaries. Secondly, he is difficult to pigeonhole. He is often described as a Japanese New Wave director, but both his path into the industry and his style differed from those of such New Wave filmmakers as Nagisa Oshima and Masahiro Shinoda, who started out as commercial directors at a major studio, Shockiku. Hani, by contrast, worked initially on documentaries at the noted documentary outfit Iwanami Productions. His best-known documentaries focused on children: Children Who Draw (E o Kaku Kodomotachi, 1955) won the prize for Best Short Film at Cannes. This training in documentary, as well as the concern for youthful experience, was reflected in his fiction films. His first feature, Bad Boys (Furyo Shonen, 1960), was an account of life in a reformatory, which employed amateur actors, location shooting, and some improvisational techniques. Subsequently, he intelligently examined the situation of Japanese women in A Full Life (Mitasareta Seikatsu, 1962) and She and He (Kanojo to Kare, 1963). Unusually for a Japanese director of his generation, he also made films abroad, shooting The Song of Bwana Toshi (Bwana Toshi no Uta, 1965) in Kenya and Bride of the Andes (Andesu no Hanayome, 1966) in Peru. Perhaps his most famous film internationally is Inferno of First Love (Hatsukoi Jigokuhen, a.k.a. Nanami, First Love, 1968), a bleak account of adolescent experience. The following interview was conducted by Rea Amit and Alexander Jacoby during May, 2009, in Tokyo. I would like to start by asking you about your film career. You first made documentaries, and some of your fictional films such as Bad Boys (Furyo Shonen) and later Morning Schedule (Gozenchu no Jikanwari) have documentary footage in them or semi-documentary elements. So I would like to ask, how do you see the relationship between documentary and fiction in your films? First of all I must explain that my documentaries are related to my fiction films. When I make a picture I never want to analyze it, but recently I have had some interviews like this one, so I started to analyze myself. I am interested only in the inside of people. For example, eight or ten years ago, I was invited to a Japanese university which decided to gather all the people who appeared in my early documentaries, the children from Children Who Draw (E o Kaku Kodomotachi), because they had reached the age of 60 or something. Many of the boys and girls came, and they screened the movie. I was quite shocked because I thought that they would laugh at the movie, but I had recorded their images inside when they were very young, 6 or 7 years old; I had recorded, maybe, very complicated, personal things. So, instead, they cried. Everyone agreed that my first documentary Children in the Classroom (Kyoshitsu no Kodomotachi) was a new kind of picture, not just in Japanese cinema but also in Occidental cinema. Of course, I had to write a script in order to get money from the Japanese Ministry of Education, but it was a very simple one, just so that it would be accepted. If I had presented the project to them as I really wanted to make it, it never would have been accepted. I had a very steady image of what a picture is and how it should be, so I didn't want to push anything onto the children. I was sitting in the classroom and watching them. The cameraman was very skeptical about my way of thinking, so eventually he proposed that we should not let the children see the camera, and he took it to an empty room next to the classroom. But then all the children gathered in that room because there they could see new things, so I told the cameraman, "We should show them the camera and everything". They asked why we were in the classroom, so I told them, "I came here to film you". But they did not believe me because at that time the movies showed very different things, so that they couldn't even imagine that children could make a good picture. Once they said we were very stupid people who couldn't be accepted by society, so we decided to come back to school again, but were ashamed to sit with children. Later, even though we said that we were shooting them, they thought that we were teachers. Children in the Classroom was actually very successful; it earned money. Maybe unconsciously I gave the children a psychological outlet, a chance to express what was inside them. So I don't think of each type of picture differently. There is not a clear difference between fiction and documentary. So you think that when you made Bad Boys, although you adopted a fictional narrative, you were still trying to pursue the same goal, illuminating and illustrating the internal aspects of your subjects? In Bad Boys, I don't know if you remember, but there is a scene where the boys start a fire and make smoke. I thought that they could make it faster, but actually it took so long that I had to change reels. To make a fire like this was a matter of the boys' honour. It was very important and there was no excuse for failure... With that kind of a thing, I did not want to do rehearsals before shooting, so actually most of the important shots in my films are very much improvised. I also notice another continuity between your documentaries and your fiction work. You made Children who Draw and Children in the Classroom; then Bad Boys again is a movie about children, as is Children Hand in Hand (Te o Tsunagu Kora). A director of a younger generation, Akihiko Shiota, said once that children are a fitting symbol for exploring the problems of modern Japan. When you made Bad Boys and Children Hand in Hand, did you see the experience of children as a microcosm of Japanese society as a whole? Probably I do not see society like that. I am always interested in individual people, in capturing a very truthful image of what is inside them. This is a little different from focusing on society. Of course, I have personal favourites among actors and actress. I really liked Kiyoshi Atsumi, from The Song of Bwana Toshi (Bwana Toshi no Uta), because he was the type of man who is very rich inside. He was naturally prepared to adapt to any kind of society. At that time, going to work in Africa was very adventurous, because for us to reach that village was very hard. Maybe 90% of the people there had never seen a car. Only a few of them, who had had the experience of going to a faraway town, had seen one. And 95% were seeing a film crew for the first time. So they didn't understand what a movie is. That kind of situation is very interesting. At that time, probably, there were already only a few people like that, but today there are almost none. But I saw that Mr. Atsumi understood it all so well. There was a kind of meeting of many of the villagers, and I saw that there was one very old man who looked very important, so I went to see him. Actually I can speak some Swahili, so I said "I am the leader of this group, and I hope to be in a position of friendship with you". But he never listened to me; he wanted to speak only with Mr. Atsumi and to shake his hand. So I told him, "He is not the leader; I am". But he told me: "I always judge who the leader is by his face, so to my understanding he is the leader". This is very interesting because I wanted to ask you about your experience filming abroad, you are probably among the very few Japanese directors at that time who made films abroad, The Song of Bwana Toshi in Kenya, but also Bride of the Andes (Andesu no Hanayome). Why did you specifically choose those countries? What was it about Kenya, what was it about Peru, that made you want to film there? One thing I was wondering actually is how long you spent in Peru and Kenya. I was in Africa for 6 months. And Mr. Atsumi was also there for 3 to 4 months. The cameraman was there for about 5 months. The others were there probably for 4 months, more or less. Did you film with an entirely Japanese crew? No. Several Peruvians joined us in Lima; for the shooting in the mountainous parts of Peru, we had to rely on Peruvian help. Bringing together some of the previous things you talked about; you have made films abroad, you have made films about children... one of them was your own daughter and you also directed your wife in some films, so my question is, what was it like to direct your family? Do you find that combining a personal and professional relationship is difficult? I made two films with my wife, and she was quite well known already by that time as an actress, but she followed my wishes, wearing no makeup and that kind of thing. Of course, I felt a little difficulty directing people to whom I was close, because usually when I work with non-professionals, I never explain anything, especially the future of the characters, because I don't really know what the future will be. But when I was filming people who were close to me personally they insisted on knowing the future, on knowing how the movie would end, so I had to think about this. Also sometimes I had delicate problems, such as when I told someone what the end of the movie would be, even though I wasn't really sure it would be so, and I didn't know all the exact details. Because my wife was a professional actress, she wanted to know what was going on and how the film would end. On the other hand, when we were shooting in Africa, people were very excited and didn't ask too many questions. Probably they were thinking that they might be eaten by a lion the next day, so they didn't care much about the details of the film. For me this was an ideal state for shooting my films. Similarly, when I was shooting Bad Boys, I didn't explain anything to the kids about the film's ending. So they didn't care, but your wife did care. How was it with your daughter Mio? She was very young. So was that a different experience again? Actually, even though her name doesn't appear in the film's credits, she appeared first in Inferno of First Love. She had a very small role, so there was no need to explain to her what the movie was all about. But when we shot the film Mio in Sardinia, she wanted to know everything, and she even suggested several things. She said, "Do this" or "do that", and actually some of what she said was very interesting, and some very important sequences were based on her suggestions. So she was very proud of herself, and said: "I have directed my father." You mentioned that she appeared in Inferno of First Love, which is your most famous film in the West. Actually the film was not known in England, but it was shown at the Berlin Film Festival, where they had also screened films from the beginning of my career. Several people wanted to buy the picture, and a very important British executive came to me. But I had already visited England once, and I knew that with British censorship, the film might not be accepted. Of course, the distributor knew this, but he wanted to give it a try anyway. They tried to buy the movie for a small amount of money, but actually the censors rejected it twice. I wanted to ask you how it was to work on this film with Shuji Terayama? So your film served in a way as an inspiration for Terayama's work? Yes, actually. He was excited, so he wanted to see us shooting. And indeed, he came by once, during the early stages of the shooting. Your book Ningen Teki Eizo Ron, published in 1972, begins with the statement saying that "There is nothing more interesting than the profession of making movies". Yet in fact, you moved away from filmmaking in the 1970s. Why was that? You see, when I was making each and every one of my films, I was concentrating so hard, but after I finished making them, I simply lost interest and didn't even go to the screening. So you mean that you never saw any of your films again after making them? Exactly. But recently, about six years ago, in the United States, they screened some of my films in several places, including the Museum of Modern Art in New York, and they invited me. So then I saw some of my films again after a long time: Children Who Draw, and so on. How long do you think it had been since the previous time you saw your film? Around 45 years or so for Children Who Draw. And Inferno of First Love, well, in that case it must have been something like 30 years... Actually I was shocked. You see, I wanted to forget these films, and I did forget many things about them. But when I saw Inferno of First Love and Morning Schedule, I actually found them very interesting. For example, in Inferno of First Love, you have a scene where the girls are going to a big hotel, but actually we used a simple love hotel. I remember that when we were shooting that scene, the room was so small that I couldn't even enter fully in order to explain them the scene. The cameraman couldn't even get his entire body into the room; he could only take in the camera and parts of his body. And of course, Terayama couldn't see anything, and I couldn't either; only the cameraman could see. He was a very good cameraman, the best I have ever worked with. His name was Yuji Okumura. I was never so excited about working with a specific cameraman before, but he was such a good cameraman that when he said that he could shoot the scene successfully, I trusted him. Three days later we had another shoot somewhere, and Terayama also wanted to come. It was the last part of the shoot. After seeing it, he was so excited. Even though he had quite a lot of cinematic experience already, either with screenwriting or directing, he said "This is the first time that I really understand what a movie is". So it was only after this experience that Terayama started his own cinematic career? Yes, he hadn't done much before, and it was only after working with me - though I can't say for sure that this experience was the trigger - that he started working on his own full-length films. What is interesting here is that after seeing me at work, and after a few years had passed, he came to me and said: "Please don't tell anyone, but I paid hommage to you in my work. It's true, but please don't speak about it with other people". I really don't care about this sort of thing, so naturally I said "All right". Anyway, many people thought that Terayama's and my own work were very different, but inside, I think, there is a possibility of a very rich dialogue. I didn't have so many chances to meet him, but when we met, we had very good feelings toward each other. The final question is about your later career, because after you stopped making feature films from the 1970s, I believe that you worked mainly as a writer and for television. Why did you stop? What was it that you could say in words but not in images? This is the first time I have said this: for me, to make a film is not to show or to convince someone of something. I make films because I want to know something specific, which means that it changes from film to film. So when I have shot one picture I see no reason to look back at it again. After I made Inferno of First Love and Morning Schedule, both of which I like very much, I can't say that I had found what I was looking for, but maybe with those two pictures I got very close, maybe as close as I could get. Even nowadays, I am surprised to see that they are a very direct expression of myself, which is something I never thought could be achieved. Even with Inferno of First Love, when I made it I never thought it would be such an expression of my own self, but now I see it almost as a direct confession. It really surprises me, since I don't like confessions. It happened as if against my will. These films were very successful in Germany, and I and other film directors were offered some financial help to make films about animals. No one accepted but me, because I like animals. So it was decided that I would make a film about salamanders. They sent me a huge box with seven of these animals and we stored them next to a pond somewhere near where my father lived, in a house that belonged to a professor there. We got along pretty well, me and the animals! It ended up being a long documentary series; it took more than two years to finish shooting. To make a film about animals is to get to know many things about them. Animals were interesting to me then, as children were in my early films. I also like Japanese history, but my father, Goro Hani, was a very well known historian so I waited until he died because I didn't want to have any sort of confusion. I respect him, but my way of looking at things is completely different from his. So after he died, I wrote several history books. So in order to write books, you stopped making movies? Well, I was just not so interested. I'm not sure why.